After contesting 6 matches, Injectors are on 40 points. Last Sunday, Injectors maintained the grip at the Dauphine Playing Field, when they side stepped Clinchers by 2 wickets. Clinchers batted first and reached 92 for 7 in 15 overs, as the match was reduced. Ronnick Daniel took 2 for 20, bowling for Dr Thomas Injectors, who responded with 93 for 8 in 15.5 overs. Damian Daniel struck 30 and Ridley Peters 25. Clinchersâ bowling was led by Okeiph Andrews, who grabbed 2 for 11, Keith Gibson, 2 for 18, and Oheyon Toby, 2 for 27. 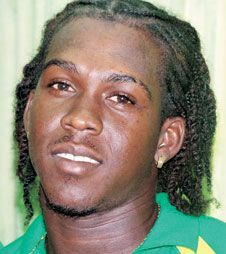 Also solidifying its position in Zone A was Nar Fren Dem, who beat Bangers by 106 runs. On 36 points from five matches and in second place, Nar Fren Dem batted first and made 151 for 9 from their 20 overs. Mark Durrant hit 40 and Sachin James 21 not out. Bowling for Bangers, Raymond Sayers snared 3 for 15, Devon Jack 2 for 14 and Omar Woods 2 for 14. In reply, Bangers could only muster 45 all out in 12.1 overs. Travis Peters 4 for 9, Glenford Woodley 3 for 12 and Damian Prince 2 for 12, crafted the demolition of the Bangersâ innings. Also in winnerâs row was joint Zone B leaders Gairy Construction Simple Boys, who distanced Bank of SVG All Stars by six wickets on Saturday. All Stars took first strike and were dismissed for 93 in 20 overs, with Kentish Pope leading the scoring with 25. Bowling for Simple Boy, Stein Joseph picked up 3 for 19 and Kenny Hunte 3 for 25. Desron Maloney then cracked 50 and Stein Joseph 25, as Simple Boys responded with 96 for 4 in 11.2 overs. Glenroy Dasent took 2 for 20, bowling for All Stars. The win pushed Simple Boys to 32 points from six matches, the same as CGM Novice, but who has two matches in hand. Saturdayâs other match resulted in Valley Boys triumphing over Older Boys by three wickets. Curtis King scored 28 and Urias King 19, as Older Boys reached 91 for 8 off their 15 overs. Bowling for Valley Boys, Shawn Oâ Garro took 2 for 4. Valley Boys then posted 95 for 7 in 10.5 overs, with Ronald Quashie topscoring with 28. Keon Brereton had figures of 2 for 10, to be Older Boysâ most successful bowler. The other match fixtured for last weekend saw defending champions RSVG Police bagging easy points from Warriors, who failed to show up when play was called last Sunday morning.